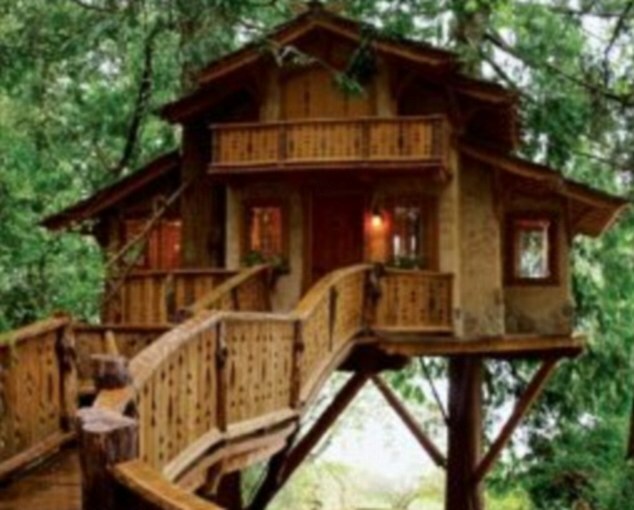 Dense foliage and an abundance of species means that the Northwest of America has seen increasing numbers of tree houses popping up in its canopies. Far from being the projects of adventurous children, these structures are breathtaking works of architectural beauty in their own right. 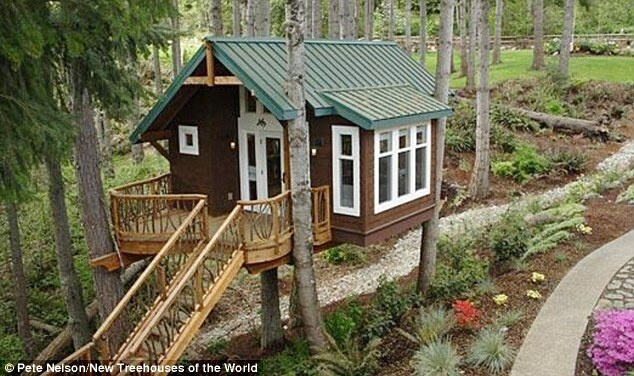 Many of the lofty homes have been created by Pete Nelson a renowned tree house builder who lives in Fall City, Washington and has written several books on the subject. 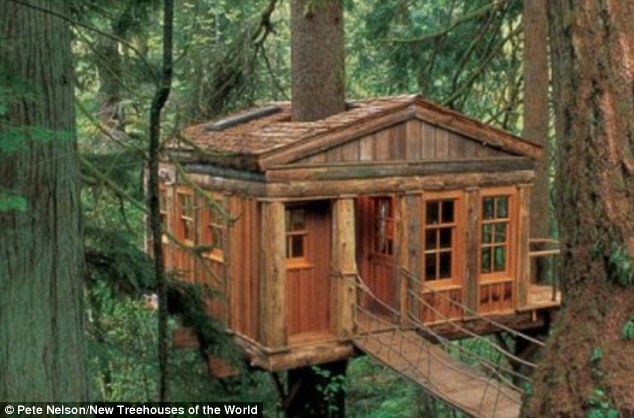 Most of the tree houses are complete with running water, flushing toilets and electricity. 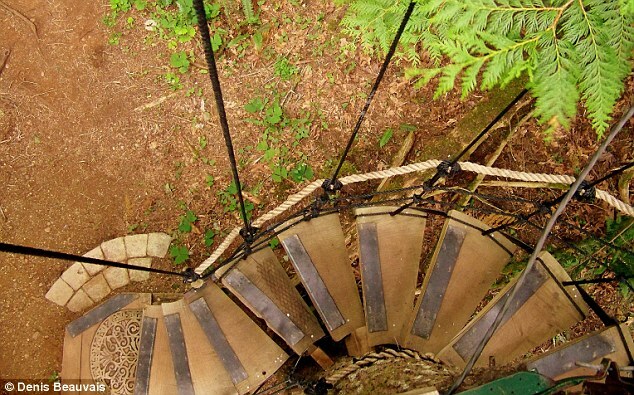 There are also special touches including hot tubs, zip lines, spiral slides, lookout towers and even an iron bridge. 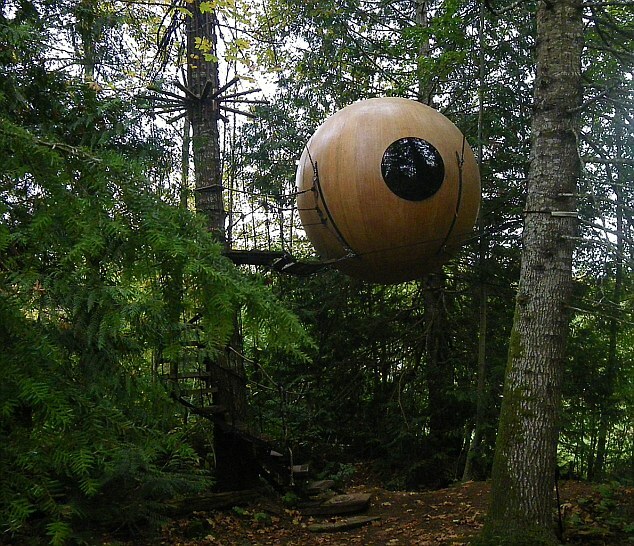 Although tree houses often function as workshops, studios or places for entertaining, there are some people who live their lives permanently above solid ground. Gus Guenther, 28, lives all year round in a one-room tree house, 12ft by 16ft, in a small community in south-central Alaska. It's hardly luxurious with a propane lamp and wood stove but is perfect for those who enjoy a simple lifestyle. 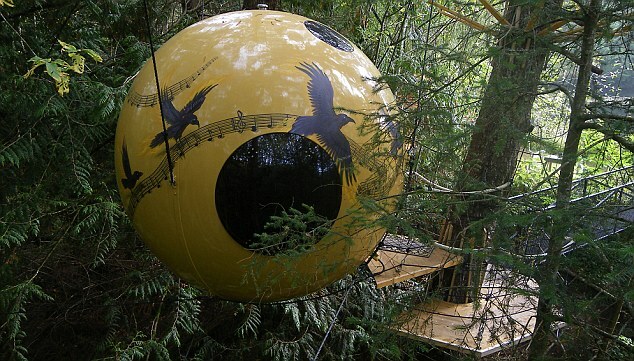 Earlier this year a film entitled Out On A Limb was made about David 'Squirrelman' Csaky, a homeless man who came to global attention after Seattle authorities evicted him from the elaborate tree house he had been living in on city property for two years. 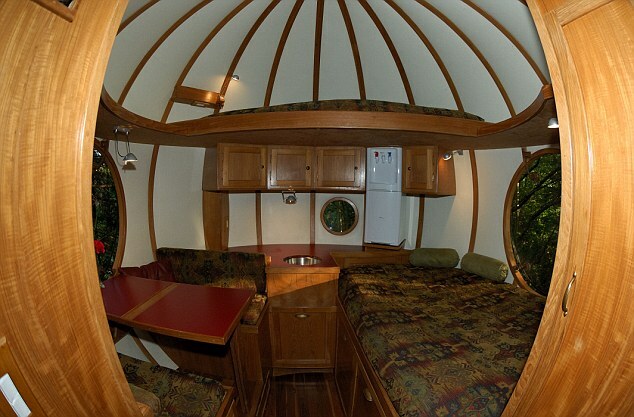 After he was evicted from his self-constructed, 300 sq ft home, 52-year-old Mr Csaky's neighbours were so outraged by his treatment that they clubbed together to buy him a motor home to live in. 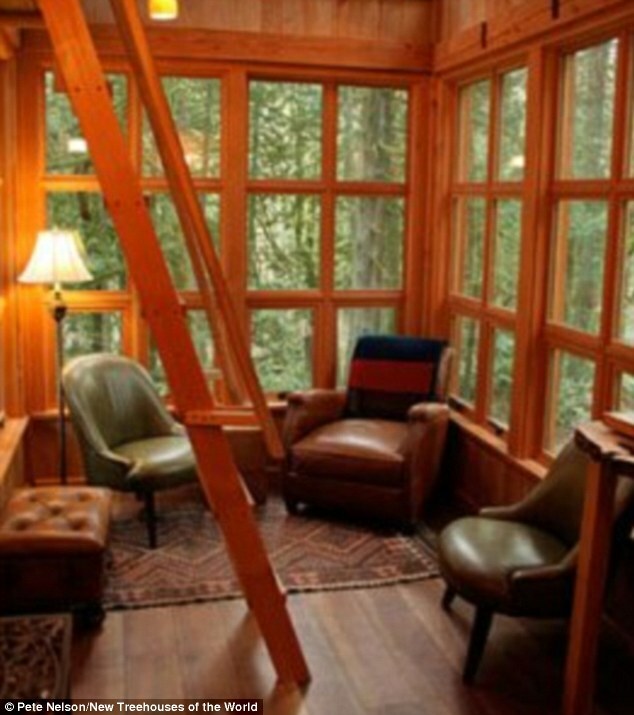 There are several construction methods when it comes to crafting a home in the trees. 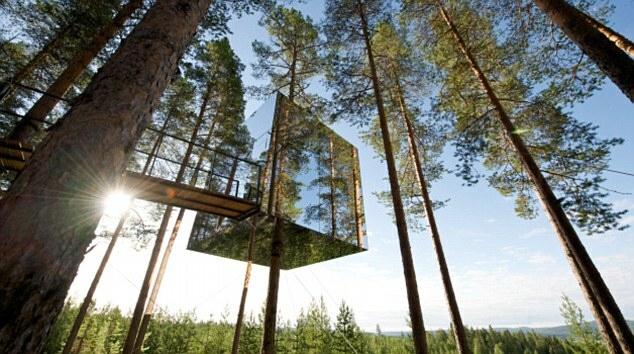 Some can be supported by stilts and don't need the tree to take any of the stress of building materials. 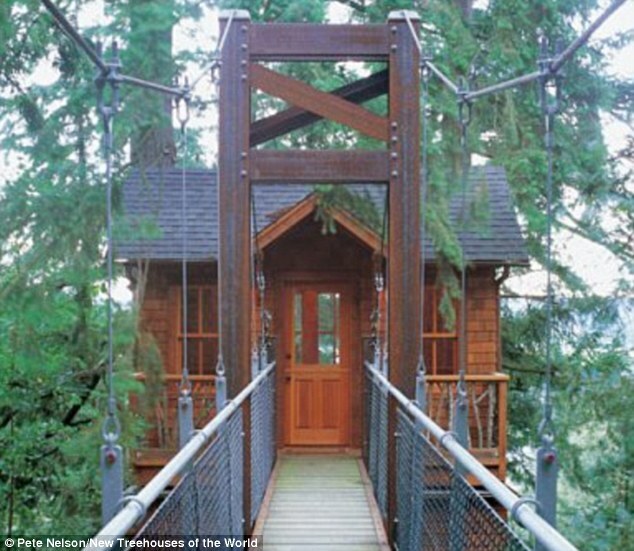 Rope and cable are the most common methods of suspension tree houses but these are among the most difficult to construct and access. 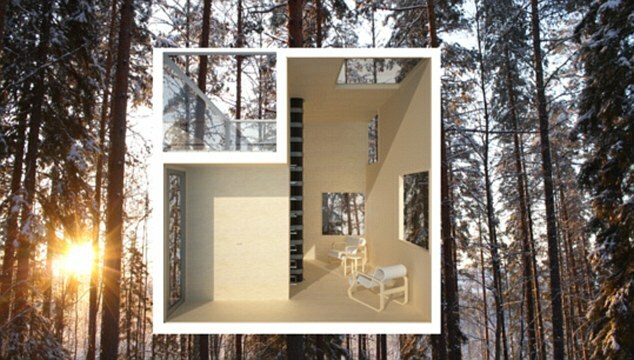 In Europe and the U.S., recreational tree houses, for entertaining and as workshops and studios, have become increasingly popular thanks to higher disposable incomes, better technology for builders and growing interest in eco-friendly lifestyles. 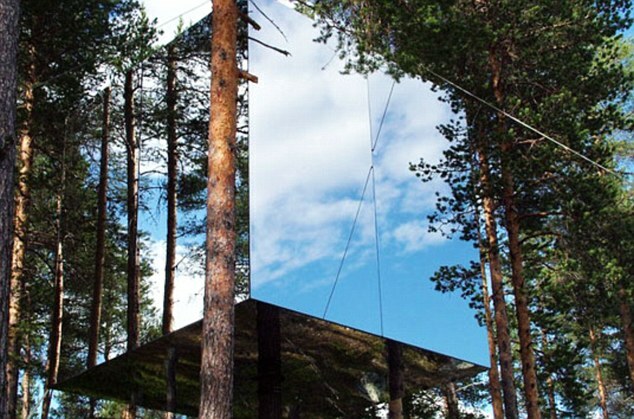 In other parts of the world, tree houses are part of a more traditional way of life. Stilt houses line the banks of many tropical river valleys in South America, particularly in the Amazon and Orinoco. Thai stilt houses are built on freshwater, for example lotus ponds. In Vietnam, the homes are built in a similar style expect with a smaller front door due to religious reasons. Kelong, are primarily fishing huts, but can double as offshore homes in other parts of Asia like the Philippines, Malaysia, Indonesia and Singapore. 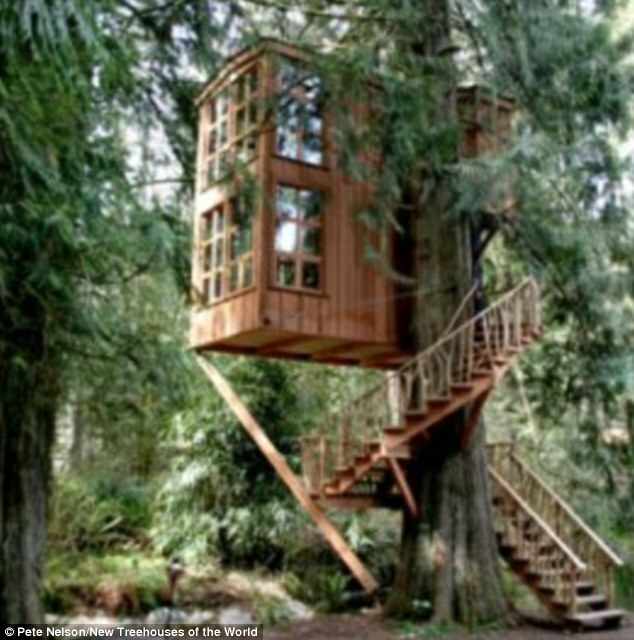 Although tree houses appeal to many people's childhood dreams, they have also been used effectively by protest communities. Tree sitting is often employed by environmentalists against big corporations to prevent road building or the destruction of forests. Julia Butterfly Hill is a particularly well-known tree sitter who occupied a Californian Redwood for 738 days in 1997, saving the tree and others in the immediate area.